Complete GeoServer hosting with the convenience of cPanel. Our GeoServer hosting includes everything you need; GeoServer, web space, unlimited domains, email, PostgreSQL 9, 10, or 11, Tomcat, PostGIS, MySQL, site stats, backup and restore, and much more. Install PostGIS and PgRouting with one click. Clone, backup and restore your GeoServer, files, and databases in one click! Scale up or down at any time. 24x7x365 support from our knowledgeable support staff. Be up and running with GeoServer in minutes! Do the GeoServer hosting packages contain everything I need? Yes. All of our GeoServer hosting plans include everything you need: web, email, GeoServer, private Tomcat instance, PostgreSQL and MySQL, etc... The package contains everything you need to put your GeoServer applications online. Can I add Drupal, Wordpress, etc.. to my GeoServer hosting? Yes. All of our GeoServer hosting includes cPanel and web space. You can install 100s of the popular applications in one-click or install manually if you prefer. You can also use your web space for your own HTML, PHP pages or anything you wish to. By default, GeoServer is mapped to yourdomain.com/geoserver, so you can use your domain for your web site, CMS, etc... There is no additional charge. Do I need to install GeoServer? Only if you want to! When you place an order for GeoServer hosting your account is set up with GeoServer installed and ready to go. If you wish to re-install or deploy a new or existing GeoServer WAR you can do so in few mouse clicks. No. While you do have full access to your Tomcat server, the only time you will likely interact with Tomcat is to restart it (which you can do via our control panel). After adding certain GeoServer extensions, Tomcat needs to be restarted. Same for adding GeoExplorer or other applications. We can perform these operations for you via support ticket if you prefer. Which version of GeoServer is available? Yes, the latest PostGIS is available and is included in all hosting plans. You can install PostGIS in one click from your control panel. Our PostGIS installer includes postgis, postgis_topology, postgis_tiger_geocoder, fuzzystrmatch, and address_standardizer extensions. Yes. You can install pg_routing 2.6 in one mouse click via your control panel. Can I add GeoNetwork or GeoExplorer? Yes! You have a private Tomcat instance for GeoServer. If you wish to add GeoNetwork or GeoExplorer, you can simply deploy the WAR to Tomcat. If you need assistance or would like us to add GeoNetwork of GeoExplorer for you, simply create a support ticket and we will install it. Do I need a domain name for GeoServer hosting? Yes. GeoServer needs to be mapped to a domain or sub domain. You can use any existing domain you own, purchase a new domain (through us or through any domain registrar), or we can provide a free sub domain. You can also point a sub domain at our server (e.g. geo.mydomain.com). Yes. We offer a 20% discount to academic and research institutions. This discount is on top of any discounts for annual billing. So, for annual billing you would receive 20% off in addition to receiving two months free. Just sign up with a .edu email address and enter Promotion Code EDU20. Additional discounts are also available. Please inquire.. Just sign up with a .edu email address and enter Promotion Code EDU20. Additional discounts are also available. Please inquire. AcuGIS GeoServer Cloud Hosting is a complete hosting solution, containing everything you need. Our GeoServer hosting contains everything you need and is ready for use. Our system provisions your GeoServer and maps it to your domain (or sub domain) and you are online and ready to start building, editing, and serving your maps. 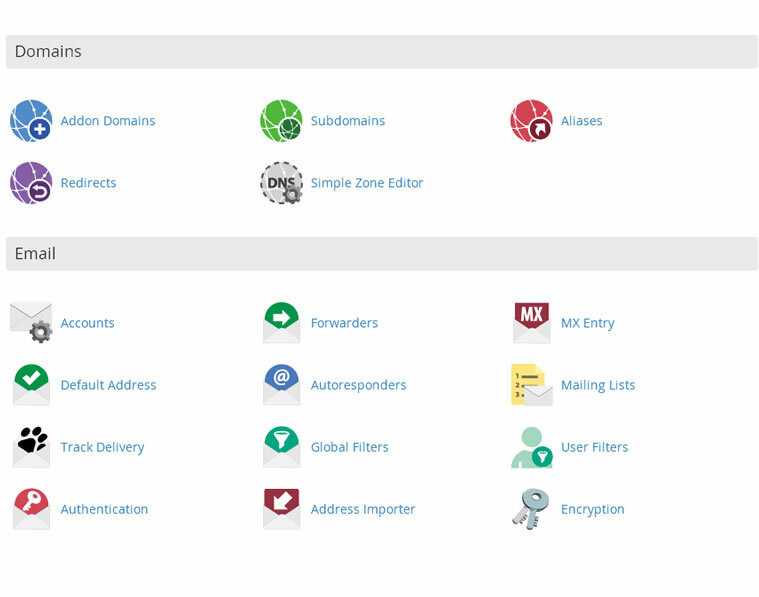 Our comprehensive control panel allows you to easily and intuitily manage your domain(s), email, databases, GeoServer, and all facets of your hosting. All of our GeoServer hosting packages are complete hosting solutions. In addition to GeoServer and our great GIS tools, all packages include unlimited domain hosting, email, webmail, site stats, and much more. We provide everything you need to put your web presence online. We also provide Enterprise grade hardware and geographically diverse DNS and networking. All tiers of our cloud infrastructe use SSD disks for lightening-fast performance.